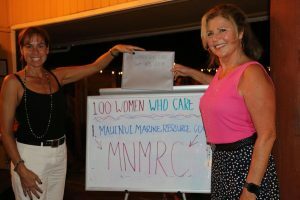 100 Women Who Care Maui. Courtesy file photo. The Laʻa Kea Farm on Maui is the recipient of $14,000 in donations from the 100+ Women Who Care Maui alliance. The majority of funds, $11,400 was raised by the group on Dec. 7, 2016, but more than $1,400 has been mailed in or dropped off by members since then. 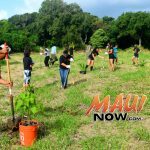 Laʻa Kea founder Andrea Hall said the funds will assist the residential farm community in building a commercial kitchen and provide expanded program options along with paying jobs for community members with disabilities. 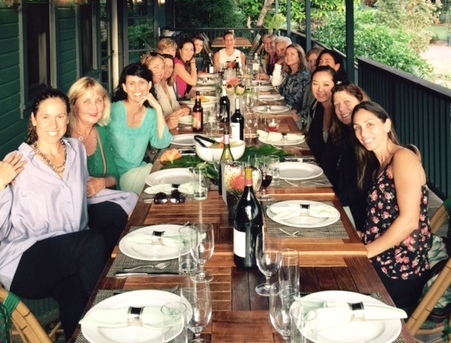 Since 100+ Women Who Care Maui started two years ago, the group has grown from 25 members to more than 250 members. The group has already given back $60,000 to the Maui community during this short period. Their next meeting will be held on March 15, 2017 from 5 to 6 p.m. at the King Kamehameha Golf Club, in Central Maui. Participants are asked to come early (between 4:45 and 4:45 p.m.) to register for the meeting. Call King Kamehameha Golf Club directly at (808) 866-5025 to reserve a dinner if you wish to stay for the dinner & social after the meeting from 6 to 8 p.m.
Those interested in learning more about 100+ Women Who Care Maui, or want to become a member, are invited to visit their web site, and join the mailing list to be informed about future meetings. Currently there are more than 350 actively operating chapters located throughout the world with several more under development.